SCOTTSDALE, Ariz. - A mom in Arizona is now facing child abuse charges for allegedly leaving her two young children in a hot car while she interviewed for a job, reports CBS affiliate KPHO. 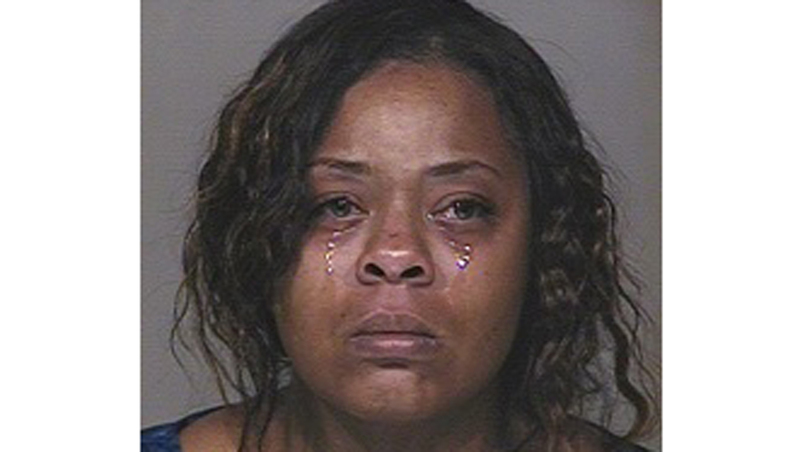 Shanesha Taylor, 35, mother of the 2-year-old and 6-month-old kids, was arrested on March 20. She now faces two felony counts of child abuse. According to Scottsdale police, a witness heard a child crying inside a Dodge Durango that was parked in an office parking lot around 12:30 p.m. The witness informed authorities that the vehicle was parked directly in the sun. KPHO reports that the witness told police the car's engine was off, the doors were closed and the windows were only slightly opened. Police arrived on the scene and were able to get the children out of the vehicle. Officers said Taylor returned about 45 minutes after they were informed of the situation and told them that she did not have anyone to watch her kids while she went on the interview, according to the station. "She was upset. This is a sad situation all around. She said she was homeless. She needed the job. Obviously not getting the job. So it's just a sad situation," said Scottsdale Police Sergeant Mark Clark. KPHO reports that Taylor's children have been placed in the custody of Child Protective Services.